PARASAILING TENERIFE, fly over the ocean contemplating the island. 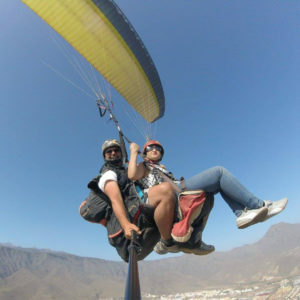 Enjoy a spectacular view of Tenerife from the sea flying with a parachute! 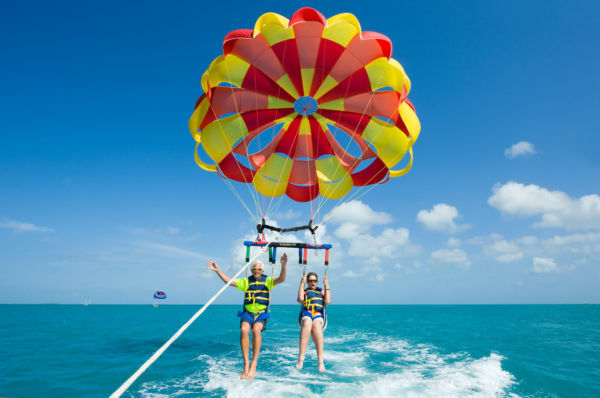 The parasailing Tenerife is one of the most popular water sports on the island; the climate here is warm all year round, so it is possible to practice this activity in any season. 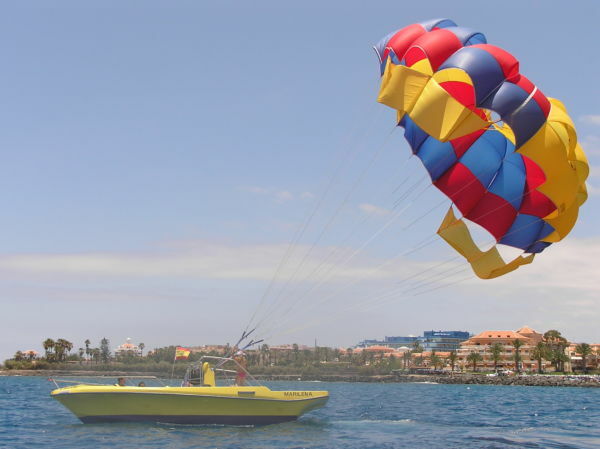 Basically it consists of a parachute connected by a long rope to a boat; as this moves forward you lift in the air reaching maximum 50 meters of height depending on weather conditions (have a look at the video below); flying over the ocean you can enjoy a fantastic view of the coast and the mountains including the peak of Mount Teide. 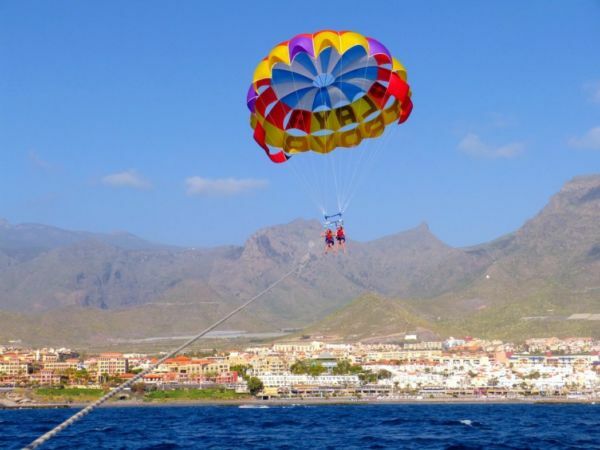 Before starting we explain you basic safety rules to follow during the parasailing Tenerife; then we get on board of the speedboat and we leave the harbour; when we are about 200 meters from the shore we open the parachute and let you fly. Wind plays a big role and when is too strong it makes things difficult; luckily the areas of Las Americas and Los Cristianos are protected from the trade winds which blow on Canary Islands; that is because of the 2000 meters high mountains in the center of Tenerife; this means that the area is particularly good for the parasailing Tenerife and water sports in general. The experience lasts about 30 minutes of which 10 in the air; you have the choice to land on the take-off platform or to refresh yourself in the cool water of the Atlantic Ocean. 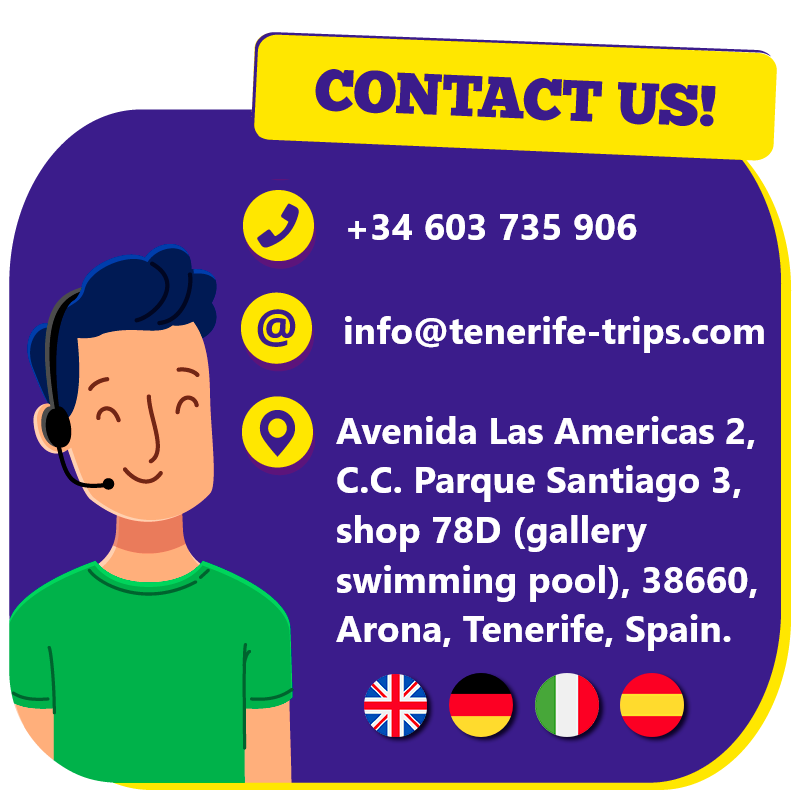 For the parasailing Tenerife children have to be at least 6 years old and must be accompanied by an adult; depending on weather conditions it is possible for 2 adults and 1 child to fly together. 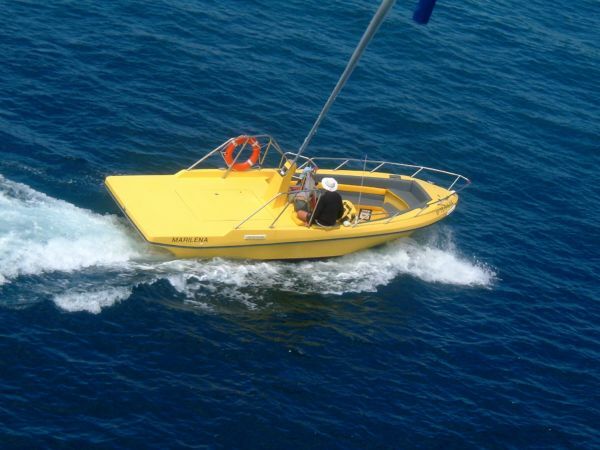 Locations: Los Cristianos harbour, Playa Las Vistas, Playa de Troya, Playa Fañabé, Puerto Colon, Playa Torviscas, Playa del Duque. 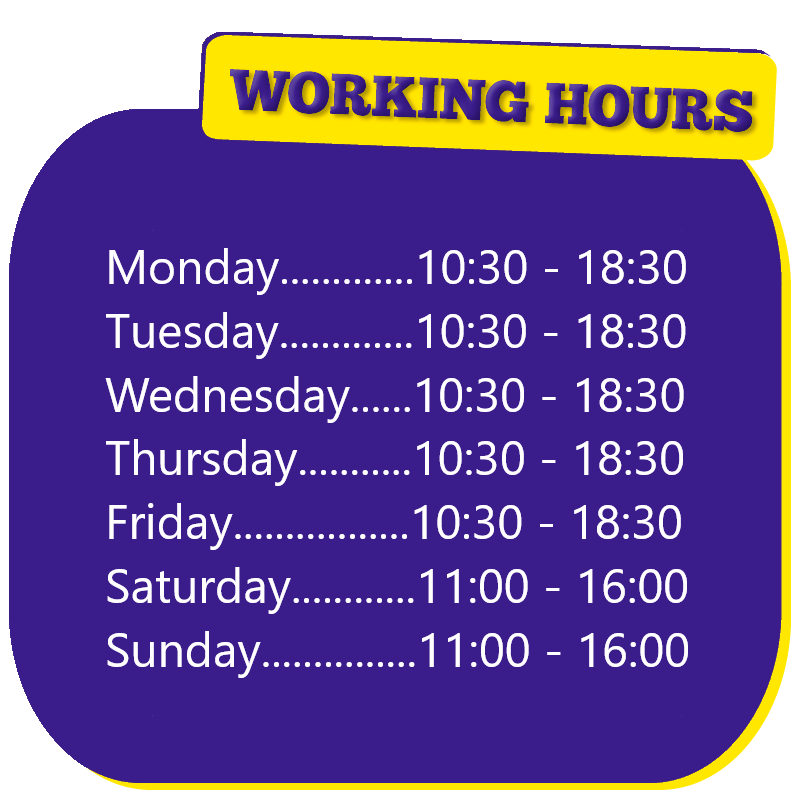 Time: 11:00, 12:00, 13:00, 14:00, 15:00, 16:00.